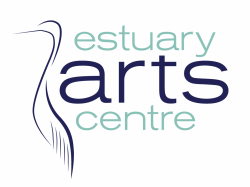 The Estuary Arts Centre is a community based facility belonging to and valued by the community. It is governed by the Estuary Arts Charitable Trust (EACT). Trustees volunteer their time and expertise, and are responsible for all fundraising endeavours. We rely on public grants and donations as well as membership support to keep the centre running. The operation of the centre is made possible by a Centre Manager, an Administrator, and a group of committed volunteers who work at the centre every day. On an average month our 70 volunteers contribute over 280 voluntary hours. . The Trust is registered under the Charitable Trusts Act 1958 and The Charities Act 2005. The Charities Commission registration number is CC 35965. Donations over $5 will be issued with a receipt which can be used to claim a tax refund. Thank you for donating to our community art centre. Your donation to our cause is greatly appreciated and will help us provide a vibrant and creative space for our artists and for the community. If you require a receipt, please include your name and address details.